ComicsPriceGuide® is a registered trademark. All the materials at this site are protected by United States Copyright Laws, and any unauthorized reproduction, preparation of derivative works, distribution (whether by state or other transfer of ownership, or by rental, lease or lending), or other display of the copyrighted work publicly, without the express written consent of comicspriceguide.com is expressly prohibited, and any violation could expose the user to both criminal and civil liability. CPG is an online service that allows our members to set up unique personal profiles that can be linked together through a network of comic book and collectibles fans. CPG members can view each others' profiles, communicate with others, post comments, and describe their sports interests. CPG members can change their profile information at any time. This statement discloses the privacy practices for all of CPG Media's Web sites. CPG collects information in several ways from our Web sites. Users within a personal network communicate on CPG with each other through the CPG service, without disclosing their email addresses. To facilitate searching and finding friends and acquaintances on the service, CPG allows users to search for other members using username and like interests. We may also use a user's email address to send updates, a newsletter or news regarding the service. Users may choose not to receive email of this type by using the unsubscribe feature found at the bottom of any email or newsletter or through the Account Settings page. Please note that a valid e-mail address is required for a CPG Web site membership. You will not receive your confirmation if your e-mail address is entered incorrectly. CPG also logs non-personally-identifiable information including IP address, profile information, aggregate user data, and browser type, from users and visitors to the site. This data is used to manage the website, track usage and improve the website services. This non-personally-identifiable information may be shared with third-parties to provide more relevant services and advertisements to members. User IP addresses are recorded for security and monitoring purposes. CPG's sites also collect IP addresses for system administration and to report aggregate information to our advertisers. How Does CPG use your Information? CPG uses any information voluntarily given by you to enhance your experience in our network of sites, whether to provide interactive or personalized elements on the sites or to better prepare future content based on the interests of you and the rest of our users. CPG utilizes information that users voluntarily provide in order to send out newsletters to subscribers. Third Party emails are also sent to subscribers. CPG does internal research on our user's demographics, interests, and behavior based on the information provided to us upon registration, during a promotion, or from our server log files. We do this to better understand and serve our users. This research is compiled and analyzed on an aggregated basis. We do not share information about individual users with any third party, except in the case of some contests and sweepstakes—and then, only with a user's express consent. CPG does not control the practices of our advertisers. If you have questions about how one of our advertisers uses information about you when you click their ad and go to their content, please contact them directly. CPG will disclose information, at its sole discretion, to law enforcement or other government agencies, or to financial institutions investigating fraudulent activities, as is deemed necessary and/or appropriate. As part of offering and providing customizable and personalized services, CPG sites use "cookies" to store and sometimes track information about you. A cookie is a small data file that certain Web sites write to your hard drive when you visit them. A cookie file can contain information such as a user ID that tracks the pages you've visited. But the only personal information a cookie can contain is information you supply yourself. A cookie can't read data off your hard disk or read cookie files created by other sites. All sites on CPG where you are prompted to login or that are customizable require that you accept cookies. Advertising networks that serve ads onto any of CPG's sites may also use their own cookies. Some of the contests may be hosted on the CPG site but administered by the sponsor; in such cases, the information a user provides is passed on to the third party as long as that user gives express consent. Please be aware that whenever you voluntarily post public information on CPG or any other Public Forums that that information can be accessed by the public and can in turn be used by those people to send you unsolicited communications. CPG member accounts are secured by member-created passwords. CPG takes precautions to insure that member account information is kept private. We use reasonable measures to protect member information that is stored within our database, and we restrict access to member information to those employees who need access to perform their job functions, such as our customer service personnel and technical staff. Please note that we cannot guarantee the security of member account information. 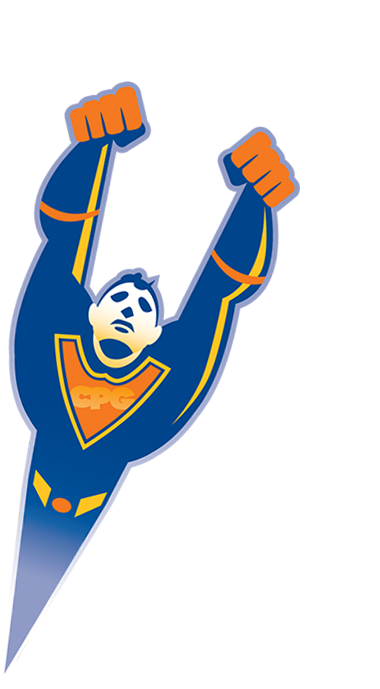 Unauthorized entry or use, hardware or software failure, and other factors may compromise the security of member information at any time For any additional information about the security measures we use on CPG, please contact us a support@comicspriceguide.com. Our policy only addresses the use and disclosure of information we collect from you. To the extent that you disclose your information to other parties, whether they are bidders, buyers or sellers on comicspriceguide.com or other sites throughout the Internet, different rules may apply to their use or disclosure of the personal information you disclose to them. To the extent that we use third party advertisers, they adhere to their own privacy customs and policies. Since CPG does not control the privacy policies of third parties, you are subject to the privacy customs and policies of that third party. We encourage you to ask questions before you disclose your personal information to others. Upon request, CPG will remove credit card number and credit card expiration date from the membership file. Requests are to be forwarded to support@comicspriceguide.com. Requests for removal of your registration information does not ensure that such information will be completely removed from the CPG system. CPG does retain registration information as a record of all activity performed on the site. Additionally, information is retained in order to enforce the Terms of Agreement, resolve disputes and problems associated with the site.